This Icon mug came from South Island, New zealand. Red is used as its theme color. Skiing in Te Waipounamu can be seen on the front of the mug and Mount Cook on the back. This Icon mug came from North Island, New zealand. Red is used as its theme color. 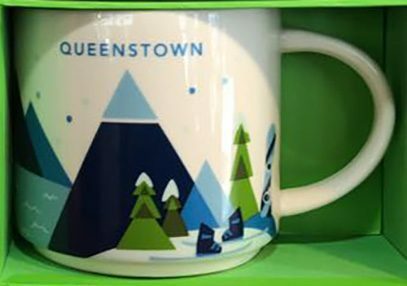 Phutukawa Tree can be seen on the front of the mug and Mount Taranaki (Egmont) on the back. This Icon mug came from Auckland, New zealand. Dark Blue is used as its theme color. City of Sails can be seen on the front of the mug and Auckland Skyline on the back.